The coaches at 'Windsor Gymnastics Center' are safety certified through USA Gymnastics, their governing body of the Olympic Development Programs. They are trained in CPR and First Aid. Attendance at clinics and seminars is required throughout the year as we are committed to the continued growth of our coaches. Joan Mora is the Windsor Gymnastics Center founder and coach. Established in 1993, she has seen Windsor Gymnastics Center continue to grow and advance into a leading gymnastics program for Northern California and Sonoma County. Joan's 25+ years of coaching experience, love for kids and extensive community involvement make Windsor Gymnastics a truly special place. Joan earned a B.A. in Physical Education from California State University, Chico. 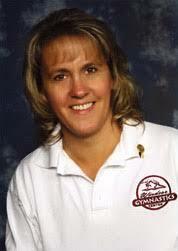 She worked for Redwood Empire Gymnastics in Petaluma as the Team Coach and Program Director. Joan maintains a 'USA Gymnastics Level 2 Accreditation' and has received specialized training in designing and coaching preschool programs. Joan is a member of the Chamber of Commerce in Windsor and Healdsburg. As a Windsor Rotarian she acts as an advisor for the WHS Rotary's Interact Club and her gym activities reflect her commitment to the community. Some of the exciting learning experiences granted to her students include The Windsor Day Parade, Healdsburg Future Farmers Fair Parade, The Human Race, Big Brother and Big Sister's Bowl 4 Kids Sake. Sandi has a degree in Early Childhood Education and Development and has specialized training in designing and coaching preschool gymnastics programs. She has over 20 years of experience working with multiple age groups of children. She is a USA Gymnastics certified coach and is First aid and CPR certified. She has been coaching gymnastics for nearly 4 years and has a strong passion for teaching health and fitness to the children that are enrolled in our program. She is in the process of designing a special needs program, so all children have the opportunity to experience gymnastics and the physical and emotional benefits that is achieved when involved in the sport. Sandi is a life long resident of Windsor and an active member in our community and local youth groups. She is a member 4-H and the Windsor Grange Hall. She especially enjoys the community events that the gym is involved in.